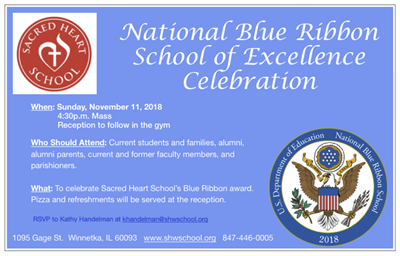 Sacred Heart School is holding a celebration Mass and reception to honor our being named a 2018 National Blue Ribbon School of Excellence. The plaque will be unveiled, pizza and refreshments will be served. Sunday, November 11, 4:30 p.m.-7:30 p.m.